Pyronix has announced the launch of a new accessory for the Enforcer range of products, the CO-WE carbon monoxide (CO) sensor. The CO-WE uses an electrochemical sensing unit to measure the amount of carbon monoxide present in the area. Carbon Monoxide is a deadly gas which is colourless, odourless and tasteless. 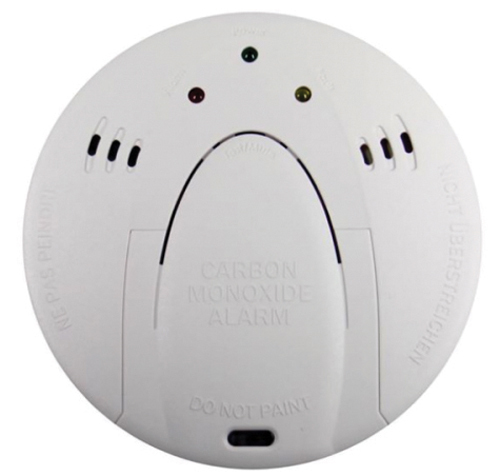 The only way of protecting against possible CO toxicity is to install a carbon monoxide sensor. It will integrate directly with the panels, being programmed to the ‘Gas’ zone so there will be an audible alarm should the detector sense the presence of CO whether or not the system is armed. The CO-WE is a two-way wireless peripheral compatible with the Enforcer security system and the EURO hybrid panels through the EURO-ZEM32-WE.